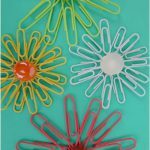 All it takes is some pretty paper, a pair of scissors and glue and the kids can make all kinds of Easy Folded Paper Flowers to decorate packages, pictures and their rooms. You can change the shape of the flower leaf just by changing the shape of the pattern. Trivia: Did you know that there are many different types of daisies? In fact there are more than 20,000 plants that fall into the daisy family. 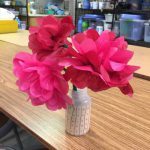 To make these Easy Folded Paper Flowers, start out with a square piece of paper. It's best not to use thick or heavy paper as it may be difficult to fold and cut. Fold the square diagonally in the middle to come up with a triangle. Fold the resulting triangle along the middle to come up with a smaller triangle. Fold the resulting triangle again in the middle to come up with an even smaller triangle. Rotate the triangle so that its longest side is positioned vertically and its solid corner (the corner corresponding to the paper's center) is at the bottom. Bring the short side closest to the bottom towards the triangle's long side. Trim off the extra triangle above the straight edge. 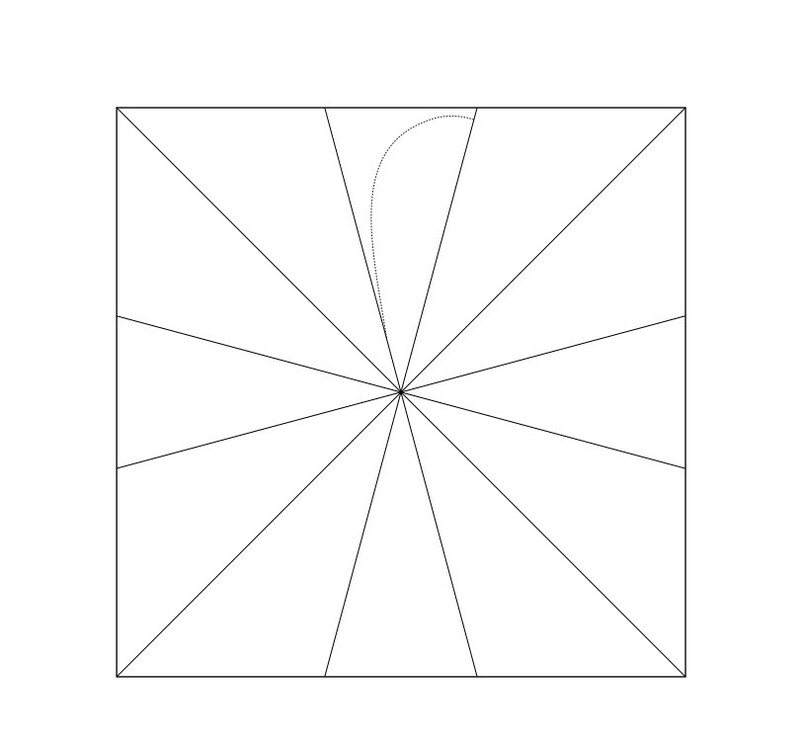 Draw half-a-petal starting from the top corner of the triangle's vertical side and ending about a half-inch from the bottom of the triangle's long side. Cut along the outline. Gently open up the paper to reveal an eight-petaled flower. Cut out a circle from paper, felt, craft foam, or fabric. Glue it a the center of the flower. If you would like complete illustrated instructions, they are available at FirstPalette.com.